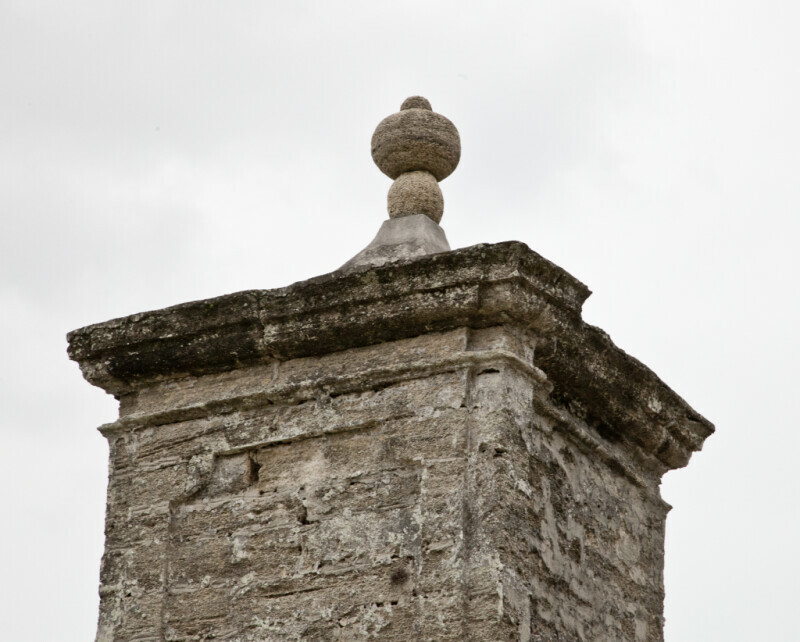 This is one of the coquina masonry pillars of the Old City Gate. This photograph provides a detailed view of the finial. The Old City Gate is listed on the National Register of Historic Places, as part of Castillo de San Marcos.